For the second straight year, LiveRez is the most used software among VRMA Annual Conference Attendees. 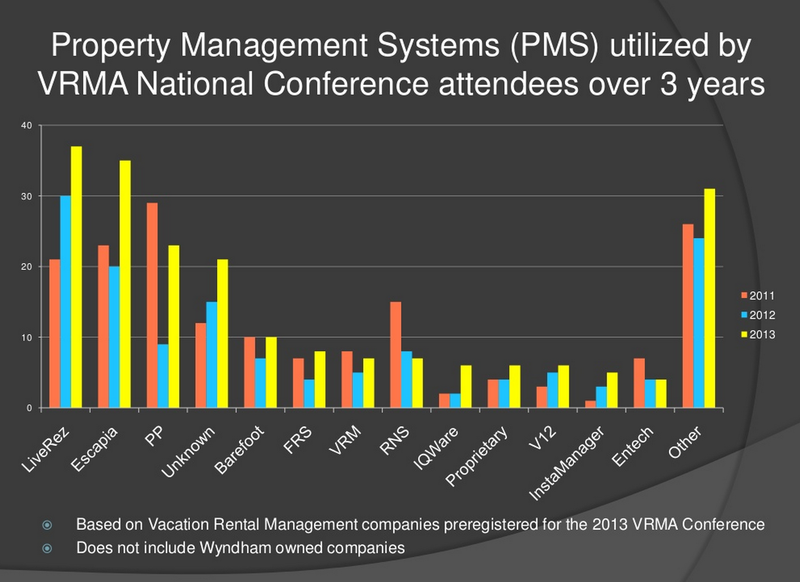 On Sunday, VRM Intel released its numbers for property management systems used by attendees of the 2013 VRMA Annual Conference. And, according to this data, LiveRez is the most used software among attendees. This marks the second straight year that LiveRez has been the most used software among attendees. According to the data, nearly a quarter of the 173 companies attending the conference use LiveRez's all-in-one, cloud-based solution. Additionally, data from the past three years shows that LiveRez has seen steady growth among VRMA attending companies, with more and more attendees each year indicating LiveRez as their software. The full presentation is embedded below. To see the original post, visit VRMintel.com.